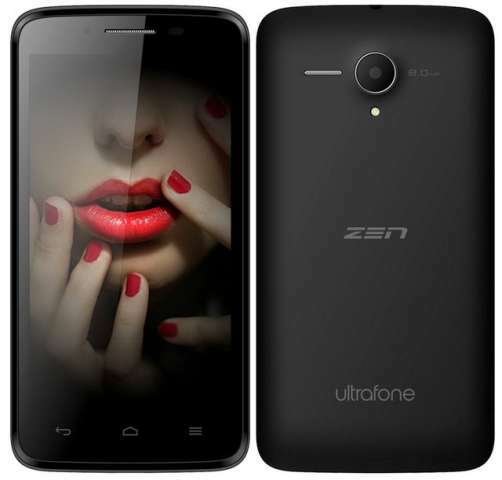 Zen mobile has launched a new android based smartphone the Ultrafone 502 qHD. Well it is not the same smartphone for which most of us are waiting that phone would be named as Ultrafone 702 FHD. The handset comes with quite nice specifications considering the price at which it available. Zen mobiles will soon launch a smartphone (ultraphone) with amazing Features and Micromax can also launch Canvas Turbo A250 and A117 Magnus before this Diwali. Apart from all that, the handset is powered by 1.2GHz dual core processor with 512 MB and has Android 4.2.2 Jellybean operating system to make the hardware run. It comes with a 1.3-megapixel webcam at the front and a8megapixel shooter at the back. The Zen Ultrafone 502 is available for purchase from online retailer Snapdeal for a Price of Rs 7300. It comes in Black color and would soon hit the major stores across the India. The handset would compete with Micromax A110 Canvas 2, Gionee Pioneer P2, Spice Mi 436 and Xolo A700. Visit the official snapdeal website in case you want to purchase the device.